Have a MOMtastic Mother’s Day! May 8th is Mother’s Day and this year I have the opportunity to share my love for my Momtastic Mom in a unique and entertaining medium. 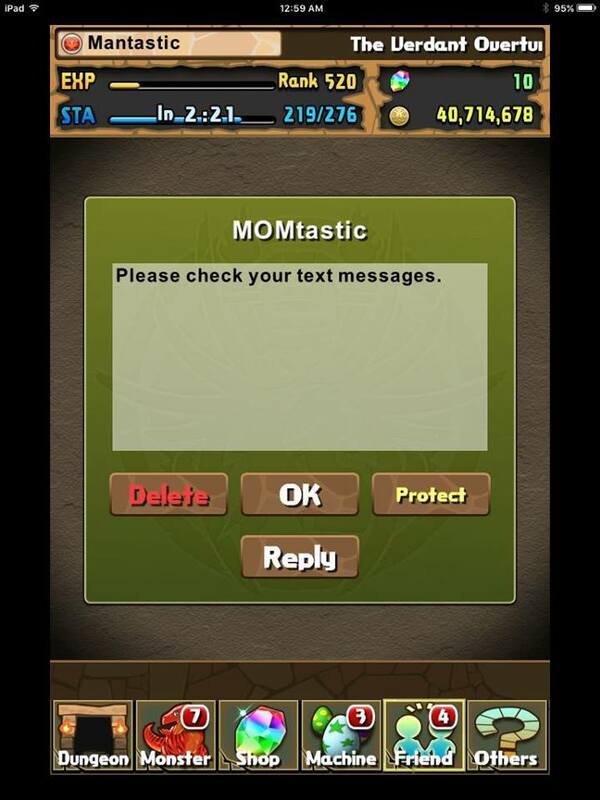 Many of my readers already know my Mom is an avid Puzzle and Dragoner and has surpassed 850 login days and rank 468. She has a burning passion for the smoking hot Awoken Shiva but sometimes dabbles in Yomi Dragon and will have a hypermaxed Awoken DQXQ ready upon release. I am quite fortunate to have a close relationship with my mother even though I moved out several years ago and a large contributing factor has been Puzzle and Dragons. Throughout my life, my family has been relatively anti-video games and it came as a surprise she took to PAD with enthusiasm. Perhaps it is the puzzling aspect that appeals to her as she has quite the analytical mind as she has no interests in collecting pretty/cute cards. Regardless, I think she mainly started playing as a means to bond with her son (as most parents struggle to find a way to connect). I do not know many parents who would make this level of effort and I will always be grateful to her for more than just PAD. 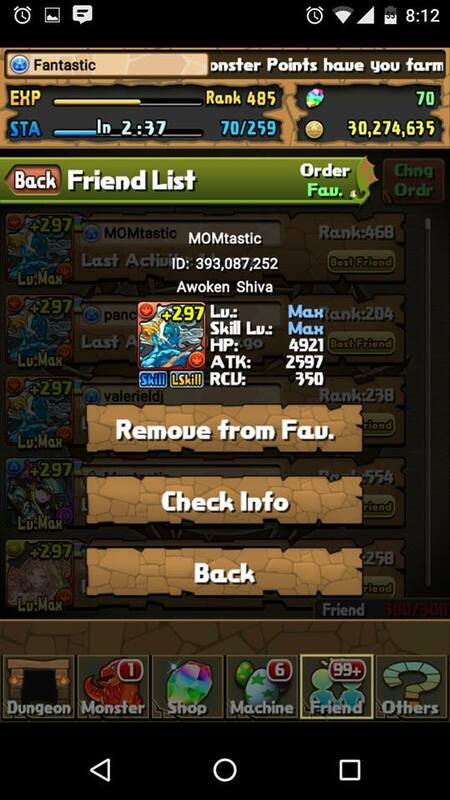 As a way to make this Mother’s Day extra special, I am hoping all you Awoken Shiva (and Yomi Dragon and future Awoken DQXQ) users can send her a friend request as she does have hers Pentamax with 5 attack latents. Hopefully you remembered to call that special someone in your life to remind them that you care. Perhaps you could also surprise them with the gift of Puzzle and Dragons with a freshly rerolled account that has a strong starting monster! If you are lucky, you may begin to receive wonderful messages and have someone else who understands why you need to disappear for an hour when Star Den opens. Happy Mothers day and Happy Puzzling! 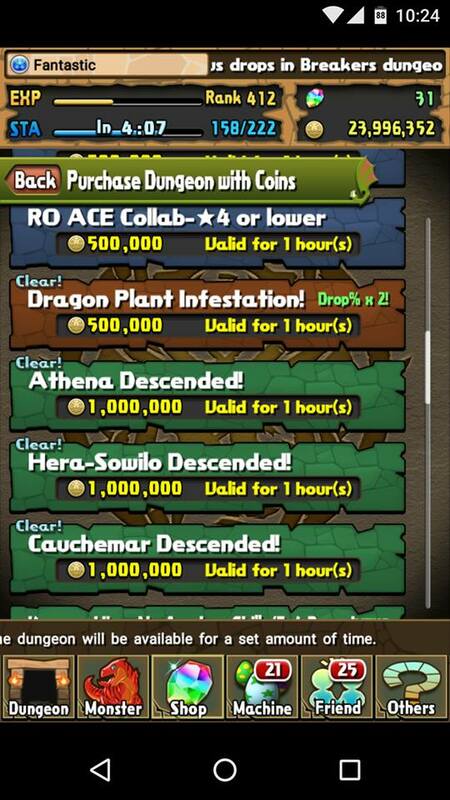 After the frenzy that we had with 10x descends, farming plus eggs during 5x feels a bit sad. Don’t get me wrong, this is still a viable way to farm plus eggs, it mostly feels underwhelming due to the expectations that every drop will be a plus. Furthermore, we only have Zeus Mercury and Guan Yinping as viable descends to run this event as I would estimate the plus egg rate hovers at just under 50% based on the runs I have done in coin Hera-Sowilo.